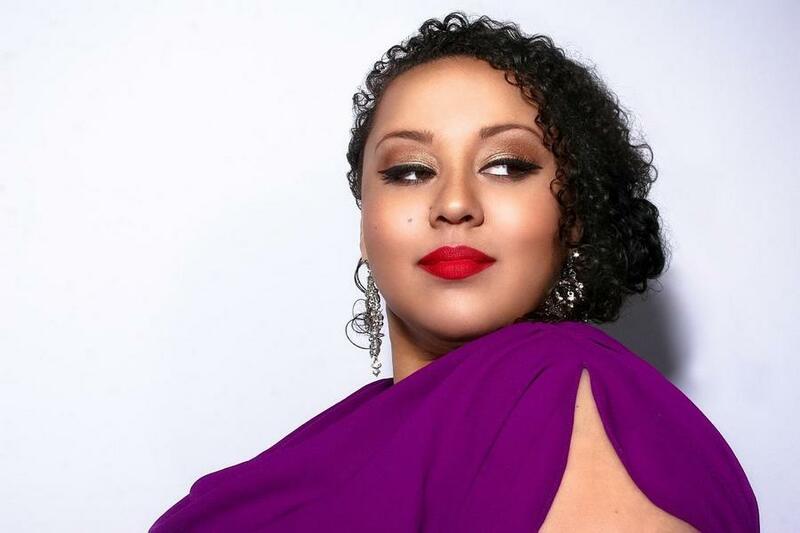 Brianna Thomas "may be the best young straight ahead jazz singer of her generation" according to renowned music critic and author Will Friedwald of the Wall Street Journal. Born and raised in Peoria, Illinois, Brianna made her singing debut at the age of six with her father, drummer and vocalist Charlie Thomas, singing the classic “What A Wonderful World.” In 2009 Brianna won New York's famed Jazz Mobile competition judged by the legendary Dr. Billy Taylor and Grady Tate, Gloria Lynn. Since graduating college in 2011, Ms. Thomas has performed with many jazz greats including Clark Terry, Wycliffe Gordon, Houston Person, Mulgrew Miller, Wynton Marsalis, Russell Malone, The Legendary Count Basie Orchestra, Kurt Elling, Michael Feinstein and longtime hero Dianne Reeves. Ms. Thomas also continues to perform world-wide for venues such as Jazz At Lincoln Center, The Apollo, Smoke Jazz Club, Ginny's Supper Club, Minton's, The Kennedy Center, Fox Theater and the prestigious Montreaux, Umbria, Bern, and Sochi, Charlie Parker, and New York Hot Jazz Festivals. Ms Thomas is a a fixture at Jazz At Lincoln Center with a regular performances at Dizzy's Club Coca-Cola and the Appel Room. She was a 2014 musical ambassador touring South East Asia for the "American Music Abroad" program, as a guest vocalist with The Amigos Band - singing folk, bluegrass, gospel and jazz. She teaches with JALC's Jazz For Young People Program to educate students in New York City School’s about the importance of Jazz in American History. Ms. Thomas recently released her debut album "You Must Believe in Love" on Sound on Purpose records in 2014. Curtis Fuller, renowned trombonist and Jazz Messenger, calls her "a marvelous new artist who has all it takes to reach the top of the jazz profession and music in general." Ongoing performances include Harlem New York's famed Apollo Theater and DC's Kennedy Center alongside vanguard pianist and educator Jason Moran for his Harlem Nights/U Street Lights Show.